In 1966, University of Chicago Professor, E. R. Breslich, wrote an article in defense of a general mathematical education for every student: “It is mathematical education which aids in the preparation of pupils for efficient participation in activities in which they engage later as adults… [Students] came to school to prepare themselves for leadership in the community.” More recently, Dr. Jaekyung Lee, an expert in education policy and educational gaps, linked elementary math achievement to overall achievement in high school and high school math achievement to overall achievement post-graduation. Basic mathematical literacy is vital in our society as it provides insight into everyday experiences, helps develop critical thinking skills and plays key roles in almost every career field. There is a popular meme which reads in part, “Things I never learned in high school: how to balance a checkbook… but thank goodness I can use the Pythagorean Theorem.” What the creator of this image and those who shared it fail to understand is principles learned in basic mathematics courses apply to everyday situations. For example, addition and subtraction can help to create a personal budget and trigonometry can help to determine the amount of material needed to complete a home improvement project. Understanding primary mathematical concepts increase self-sufficiency. Serbian researchers, Sanja Maričića and Krstivoje Špijunović, observed critical thinking development in eight to nine-year-old students as they progressed through a selected math curriculum and discovered “encouraging development in critical thinking… [regardless] of students overall performance at school.” These results are unsurprising. Math teachers demand students “show their work,” forcing children to consider their own logical process and challenge mathematical “givens.” Dr. Margarita Cummings, a professor of Mathematics Education at the University of Utah, believes this process is crucial for student development as it shows active conceptualization, application, and evaluation of class material. Even if a student does not pursue a degree reliant on advanced mathematics, tools developed while mastering mathematical concepts are universally applicable. Foundational mathematics are also professionally relevant. Almost every career path is dependent on mathematics, from farmers utilizing mathematical models to optimize crop yields, to fashion designers utilizing complex geometry to create garments. 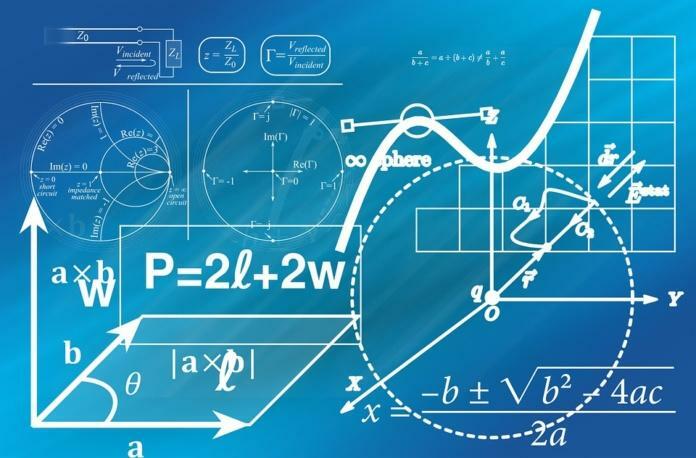 A study conducted in Lagos, Nigeria found that knowledge of mathematics positively influences computational skills, problem-solving skills, innovative skills, analytical skills, decision-making skills, and creative skills — all of which are integral for successful entrepreneurs. Mathematical literacy is a powerful indicator of economic well-being. The ghost of Jim Crow can be found in how math is taught in the United States. Dr. Rochelle Gutiérrez’s, a leading expert in mathematics education equity, research highlights four key issues which can limit minority success in a math class: lack of access to quality resources, minimal teacher investment in student outcomes, students being unable to identify with mathematicians and not having the opportunity to speak up in class. Schools which struggle to afford textbooks and have overworked teachers typically have larger minority populations. Even more insidious, research shows teacher bias affords white and Asian students more opportunities to do more sophisticated and substantive mathematics than their black or Latino peers. The American assumption is that black and brown kids are bad at math which impacts their success in the course. The effect of this vicious cycle was apparent on PISA mathematics literacy scores: African-Americans and Latinos were consistently outperformed by their white and Asian counterparts. As a democratic republic, political revolution in the United States most often occurs in the voting booth. While civics classes may appear to be the only education influence impacting electoral participation, mathematical literacy increases the likeliness an individual will cast a thoughtful vote. Extensive research shows Americans who have mastered basic math principles such as algebra are more likely to be politically involved and vote. Being math literate also allows these Americans to better interpret and evaluate political candidates’ statistical claims. An aerospace engineer turned math teacher, Dr. Tim Jones, simply explains why he left the industry for the classroom, “education was a way I could change our country peacefully.” Working with students from various racial and socioeconomic backgrounds for over a decade, Jones has impacted our community by instilling math confidence in his students. Math literacy is as important to political access for inner city and rural poor middle and high school students as the right to vote were for sharecroppers and day laborers. A quality mathematics education is key to 21st-century citizenship. As programs like Dr. Moses’ Algebra Project and instructors like Jones become more common, mathematical education equality will lead to larger equality within our society.